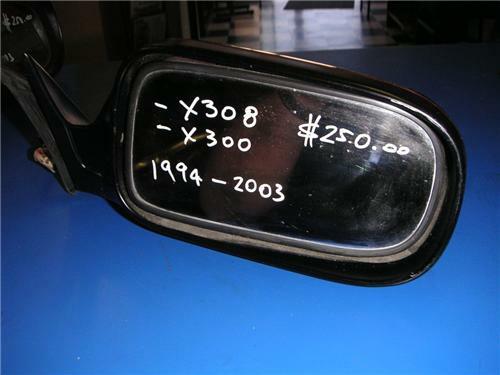 Up for Sale is a JAGUAR X300 - X308 RH Mirror suits all models XJ6 to XJ8 - 1994 to 1997. This mirror is a complete assembley that is in good working condition. All you would have to do to fit to your vehicle is swap over the rear cover or have this one painted to suit your vehicle.